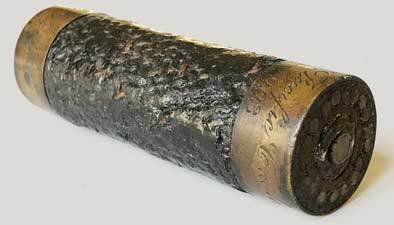 The Commercial Pacific Cable Company was formed by a collaboration of the Commercial Cable Company, the Great Northern Telegraph Company, and the Eastern Telegraph Company, with the goal of laying a cable across the Pacific Ocean from America's west coast. 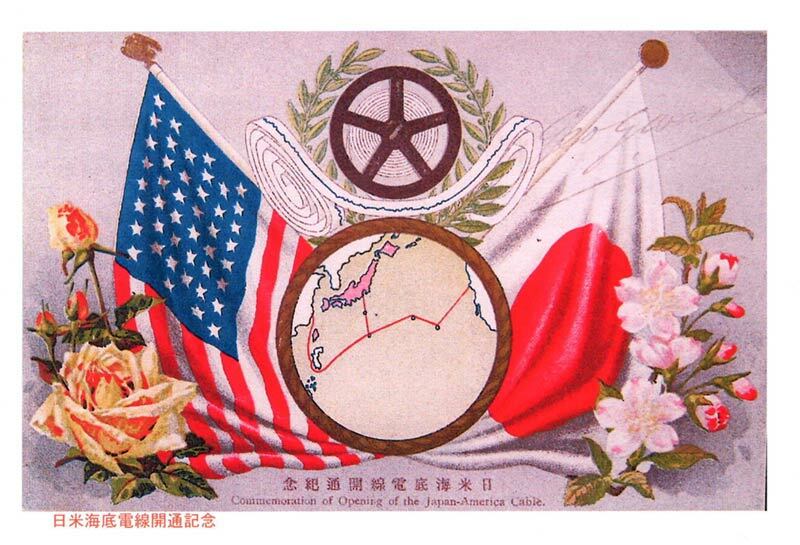 Founded in 1901, the company provided the first direct telegraph route from America to the Philippines, China, and Japan. 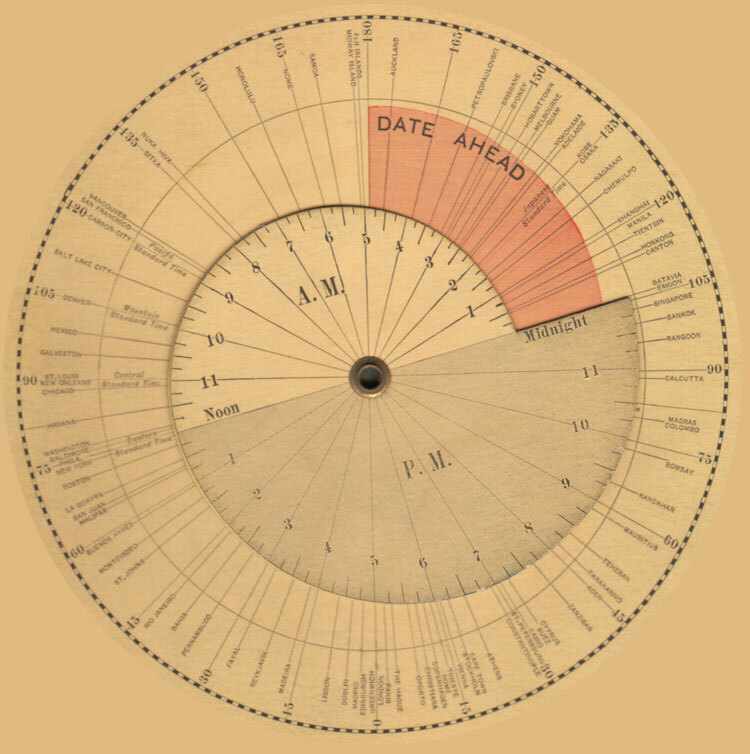 Prior to this, messages had to travel across the Atlantic to the Far East via Capetown and the Indian Ocean, or via London to Russia, then across the Russian landline to Vladivostock, then by submarine cable to Japan and the Philippines. The cables were made and laid by the India Rubber, Gutta Percha and Telegraph Works Company using CS Silvertown, and the Telegraph Construction and Maintenance Company (Telcon) using CS Colonia and CS Anglia. The Commercial Pacific Cable Company subsequently acquired CS Scotia and CS Restorer. 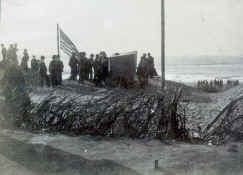 Scene of Laying Pacific Cable, Ocean Beach Laying the Pacific Cable near the Cliff House, Dec. 13, 1902. San Francisco, Cal. 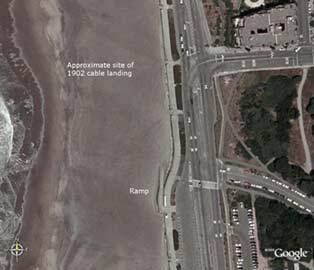 Gary Stark, who manages the Cliff House Project website, has an archive of photographs by J.B. Monaco, which give a good overview of the cable landing area. The ramp can clearly be seen in several of Monaco's images. See also the chart and map below. 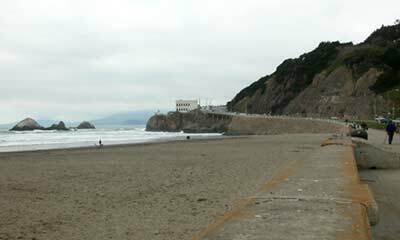 See the Cliff House Project 1902 Pacific Cable page for further information and contemporary newspaper acounts of the cable. On the Ocean Beach, San Francisco, watching the Silvertown. Christened by the Little Daughter of the Governor of California. The Steamship Silvertown Starts for Honolulu at Seven-Knot Speed, Laying Down the Ocean Section. SAN FRANCISCO, Dec. 14.-"In memory of John W. Mackay, I christen thee Pacific Cable. May it always carry messages of happiness." With these words Lucille Gage, the eleven-year-old daughter of Henry T. Gage. Governor of California, to-day christened the trans-Pacific cable and, breaking a bottle of champagne over the shore end, inaugurated a new era in the commercial development of the Pacific Coast. The landing and splicing of the shore end, which is to connect the mainland with Honolulu, was accomplished without hitch and was witnessed by about 40,000 persons. Ideal weather prevailed, there being hardy any surf. The steamer Newsboy, carrying six miles of cable, steamed close in shore early this morning and by a life-saving boat's crew sent ashore a rope to which the cable was attached. 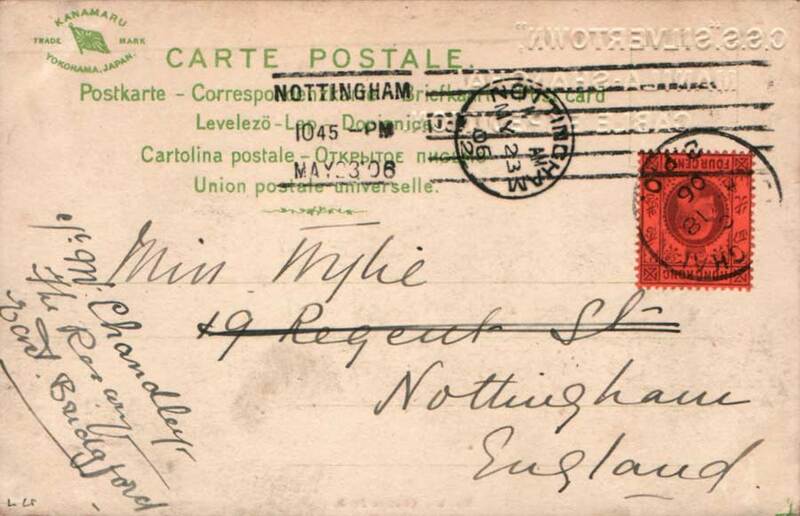 Word was sent to President Clarence W. Mackay and the cable and Postal Telegraph officials that all was in readiness. The work of hauling in the cable was done so expeditiously that the officials arrived on the beach only two minutes before the cable, which touched the beach and was christened at 9:55 A.M. While the cable was being spliced to the land end, Mayor Schmitz delivered a short speech, congratulating Mr. Mackay on the successful beginning of the work. He also spoke of the importance of the undertaking and the benefit to the world at large that would result from its completion. Clarence W. Mackay, President of the Pacific Commercial Cable Company, thanked the Mayor and those present. Gov. Gage, on behalf of the State of California, paid a warm tribute to the late John W. Mackay. 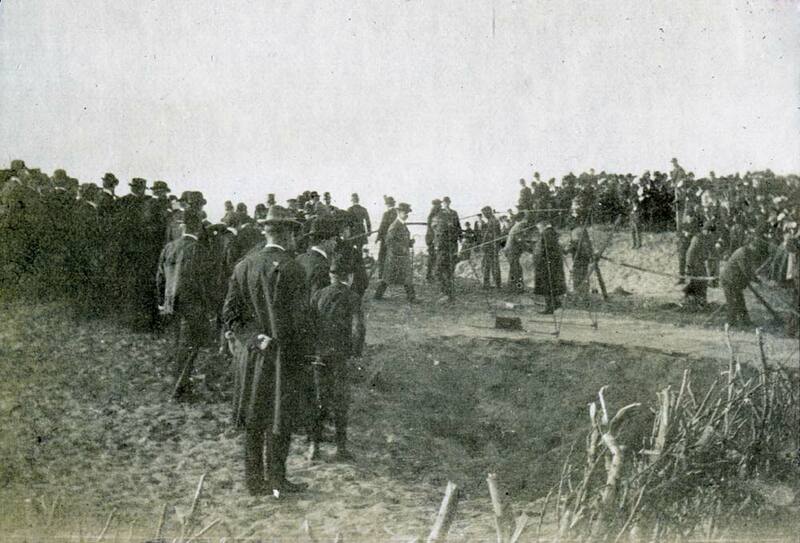 The formal exercises closed with cheers for the cable and all those taking part in its landing. I have the honor to inform you that the end of the Honolulu cable was successfully brought to shore this morning. 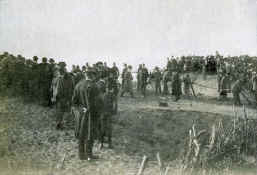 When the splicing was completed, late in the afternoon, horses were hitched to the end and the cable was drawn through a conduit to the cable station. At the same time the steamer Newsboy steamed out to sea five miles and anchored the cable with balloon buoys. It was picked up by the cable steamer Silvertown and taken aboard. The splicing to the main body was completed to-night, and the Silvertown headed for Honolulu at a seven-knot speed. The first message over the cable was sent from shore to Chief Engineer Benest on the Silvertown, congratulating him on the successful landing. Several tests were made as the cable was being paid out by the Newsboy, and it was found to be in perfect condition. A portion of the cable was cut up into small pieces for souvenirs and distributed by President Mackay among his guests. During the ceremonies an artillery band from the Presidio played. 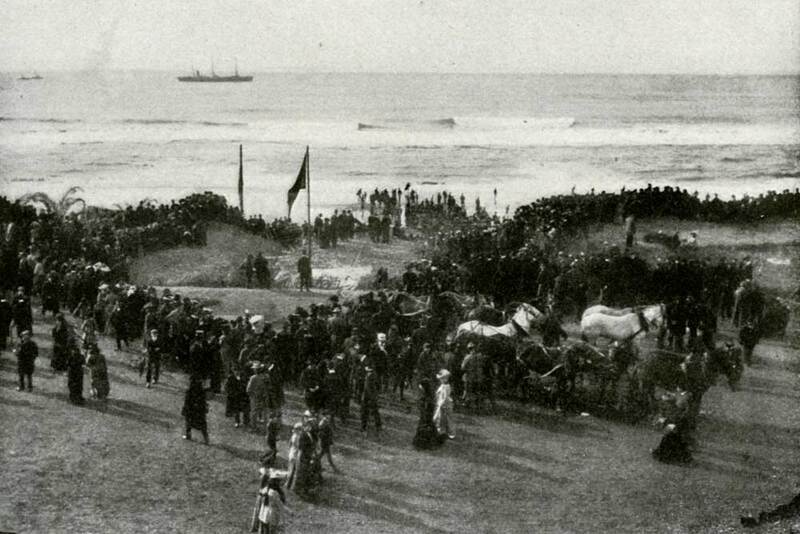 President Mackay tendered a banquet to-night to the officials of the Cable and Postal Telegraph Companies. THE steam schooner Newsboy left her moorings alongside the cableship Silvertown shortly after 6 o'clock yesterday morning and headed slowly out of the harbor with six and a half miles of the shore end of the new trans-Pacific cable snugly coiled in a great circular mass on her forward deck. 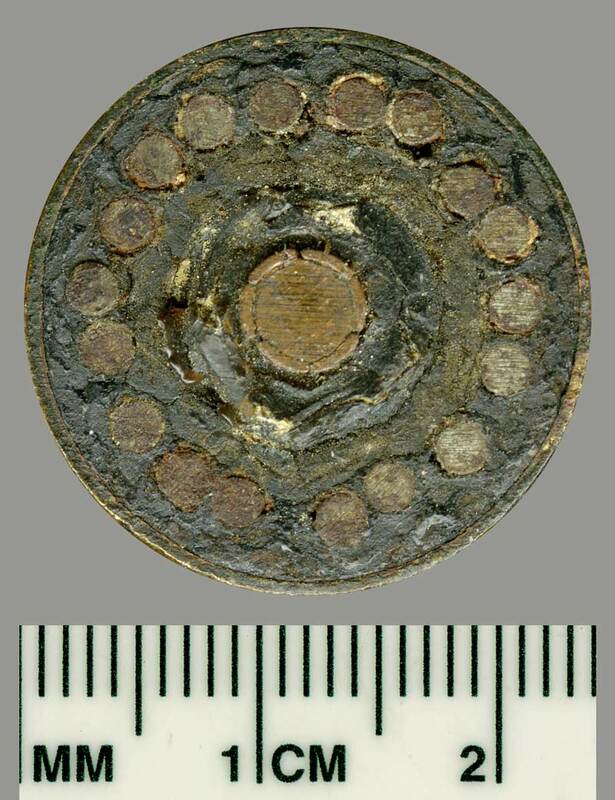 Its eighty-seven tons of precious metal strands were zealously guarded by a lusty crew of trained cable hands and engineers under the command of Chief Cable Engineer H. Benest, who has the general supervision of all the work. This man. gray and weather-beaten and bronzed by the suns of many climes, was the life and mainspring of the whole enterprise. When he spoke action was the inevitable result. A sailor as well as an engineer, he governed everything and Captain T.H. Corning handled the ship under his direction. 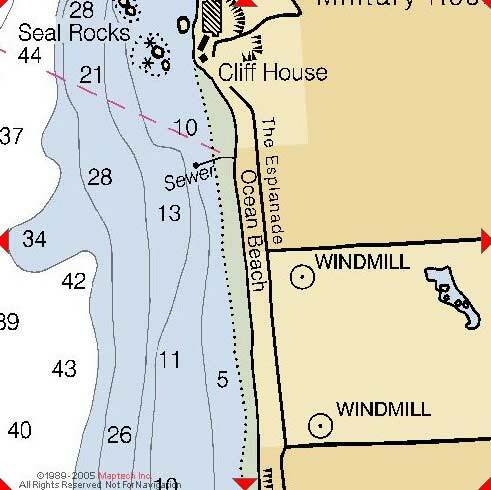 It was past 7 o'clock when the Newsboy dropped anchor about half a mile southwest of the Cliff House. Some time was spent in adjusting the gear and the morning sun had already crimsoned the crest of Twin Peaks when the Government lifeboat was seen lighting its way out through the breakers with the end of a small towline fastened astern. This greatly simplified one difficulty encountered on Friday, but it brought bitter disappointment to one man. Chief Officer C.C. Bruce of the Newsboy had counted upon the glory of taking the first line ashore and he did not take kindly to being robbed of it. However, he is a good seaman and cheerfully assisted in bending on a heavier line, which was then hauled ashore by the team of twelve big horses on the beach. 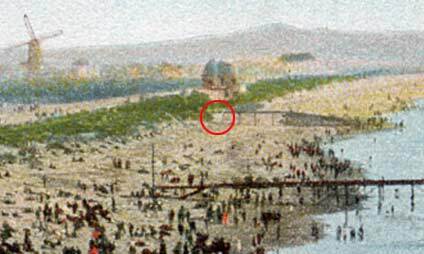 This was soon accomplished, as the sea was smooth as a millpond, and at exactly 9:15 o'clock the first end of the cable was reeved out and dropped into the sea with a balloon buoy attached to keep it afloat. With occasional intervals of delay the big tar-coated wire was steadily paid out, floated by balloon buoys every ten fathoms, until a line of seventeen of these bulbous sentinels stretched from ship to breaker line. Then, with a long pull and a strong pull the end of the cable was hauled up on the beach. The ceremonies that followed could not be clearly distinguished by the envious ones on the ship, but the faint, mellowed strains of a band floated down the breeze to tell the story of complete success. Mr. Mackay had insisted that Mr. Benest should come ashore and join in the festivities as well as share in the honors when the landing was effected and the promise was given. Mr. Benest was just making ready to leave the skip for this purpose when the cry was raised that the vessel was drifting on the shoals. The strong tide had taken the cable in its strong embrace and the force was so tremendous that even the ship's heavy anchors could not hold her in place. Then came the even more alarming discovery that the cable was doubling up under the stern and was in danger of kinking. As this meant a certain break and a complete failure of all that had been done excitement reigned supreme for a few minutes. There was but one chance of avoiding disaster and Mr. Benest lost no time in taking advantage of it. Obeying his prompt and decisive orders the anchors were raised and the Newsboy started ahead under a full head of steam. Slowly but surely she gained headway against the surging tide and foot by foot the threatened cable was straightened out and brought into a straight, taut line again. As there were too many possibilities of danger in lingering any longer in that neighborhood the Newsboy was pointed straight for the sea with the cable reeling off at her stern. The ceremonies ashore no longer had any attractions. It had been planned to take the cable officers and the buoys and other apparatus on board the Newsboy before starting for the Silvertown, but this was abandoned as unsafe and a tug was later sent ashore after them. 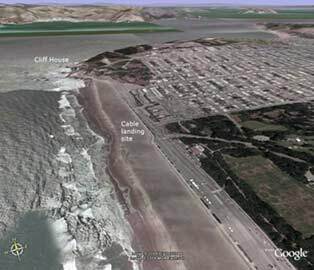 Once beyond the sweep of the tide currents the work was easy and the six and a half miles of cable constituting the shoal water end were successfully laid by 12.25 o'clock. The Silvertown, however, had anchored some distance farther out and it was decided to attach the end of the cable to an anchor buoy and cast it off until the big ship could draw up closer and begin the work of splicing it to the deep sea section. Then with characteristic British consideration for physical comfort the cable layers knocked off for luncheon. It was a merry feast, too, and Englishmen and Americans pledged a new brotherhood over the ripe red wines of young California and the smoky brew of old Scotland. When the vessels finally parted company the crews of each manned ship and gaye the other three rousing cheers. The afternoon was devoted to picking up the buoyed end of the shore section and splicing it to the main line on tht Silvertown. This proved a long and intricate task, each separate strand having to be welded to its corresponding mate before the outer covering is spliced and sheathed with a composition of tar and lime to counteract the corrosive influences of the water. It was after 6 o'clock before all was clear and the Silvertown started on her long, history making voyage to Hawaii. At 8:55 p.m. Mr. Benest cabled to Mr Mackay that a successful start had been made and that all was well on board. The vessel was then about twenty miles outside. 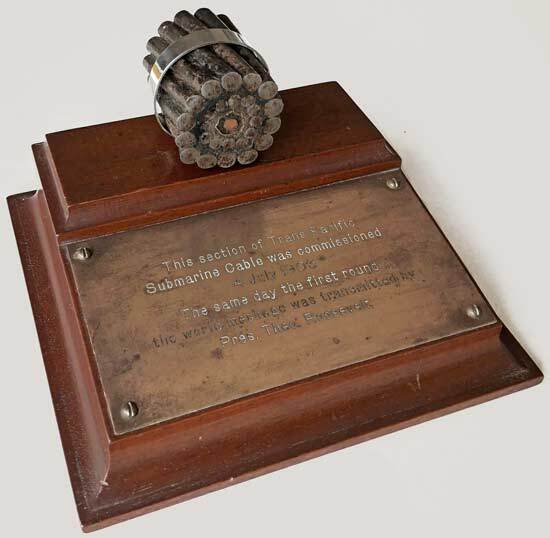 Every day at noon a similar message will be sent during the voyage through the 2400 miles of coiled up wire from the Honolulu end, which rests snugly in a small cabinet on the main deck. From Shore to the Silvertown. While the Silvertown is moving across the Pacific spinning out the Pacific cable, the representative of the cable company in this city will be in constant communication with her. The cable will be tested night and day, so that the moment anything goes wrong it will be known. 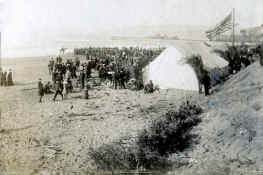 A testing-house, or, as it is called by the members of the Silvertown Company, cable hut, has been erected in the sand dunes not more than two blocks from the place on the beach where the land end was drawn out of the water yesterday. The testing will be under the super vision of Herbert Cann, electrician of the Silvertown Company. He will be assisted by E.W. Beckingsale. R.H. Mance and S.E. Marsham, who are employed also by the company and who came to this city on the Silvertown. 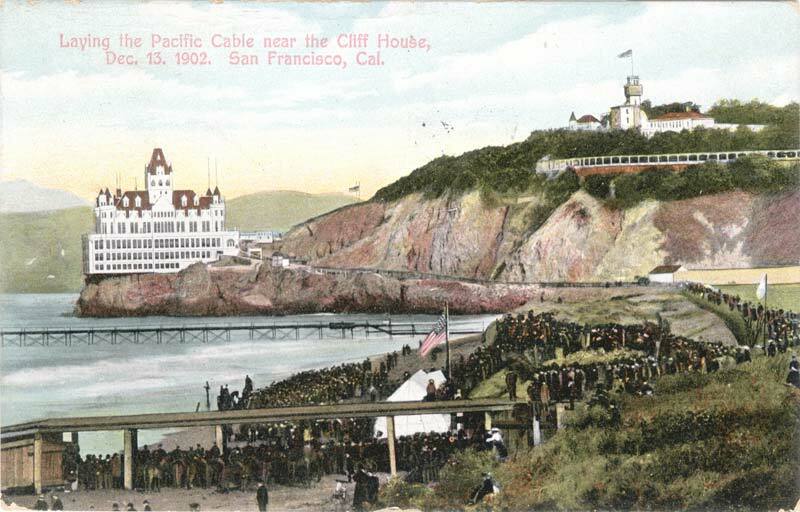 The cable hut is just off D street [now Fulton Street], which is below the Cliff House. The section of the cable from San Francisco to Honolulu was opened to traffic on December 26th, 1902. 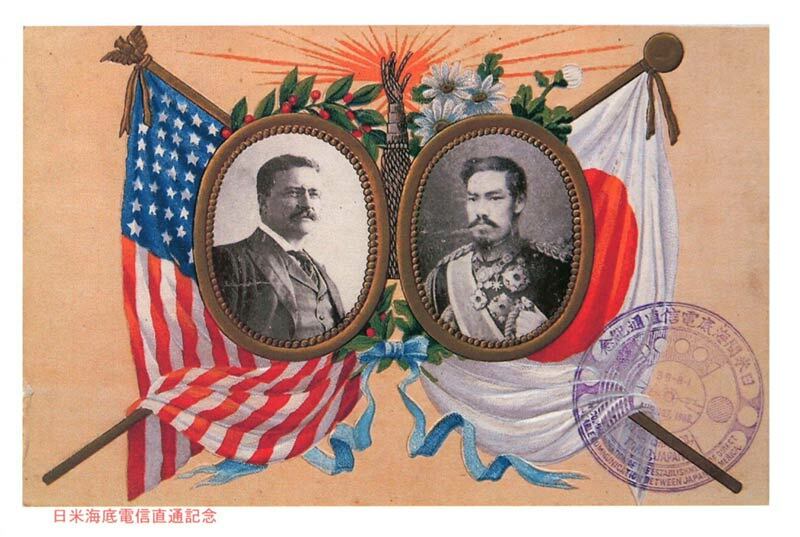 Then in 1903 cables made by Telcon were laid from Honolulu to Midway, Midway to Guam, and Guam to Manila. See below for technical details of all these cables. near the foot of Fulton Street. The account of the cable landing from the San Francisco Call, above, notes that the cable hut was at D Street; soon afterwards, this was made an extension of Fulton Street, the name it bears today. Fulton Street is the first street north of the park. No trace remains of the cable landing. The cable was made by two different manufacturers and has four sections, all with different construction. Known samples are: San Francisco-Honolulu, deep sea; Honolulu-Midway, shore end; Midway-Guam, shore end and deep sea; Guam-Manila, no samples. The first section of the cable was made and laid by the India Rubber, Gutta Percha and Telegraph Works Company (IRGP), and opened for traffic on 1 January 1903. 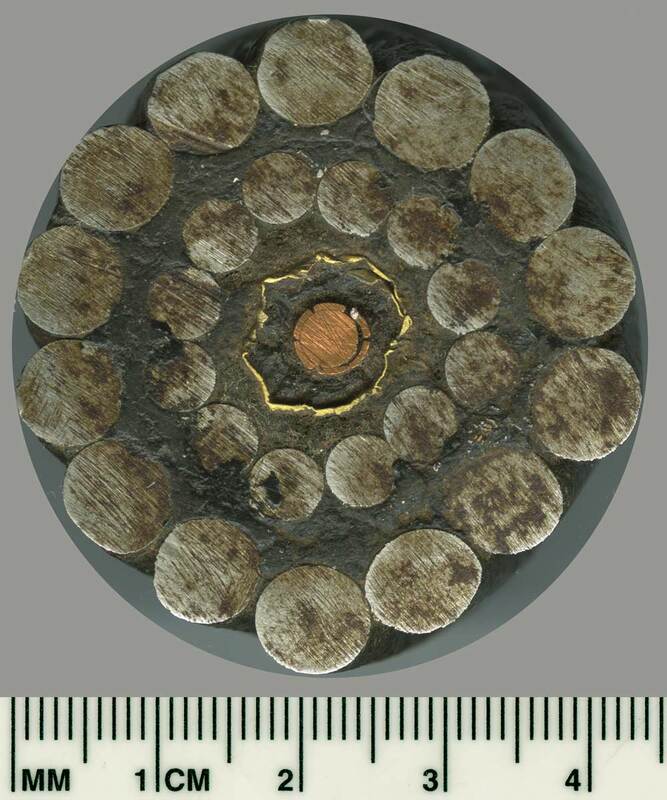 The conductor is ten around one: 1 x .106" and 10 x .047" copper wires, and the deep sea section has 18 No. 14 armouring wires (no records available, all data from measurements of deep sea sample). The three remaining sections were made and laid by the Telegraph Construction & Maintenance Company (Telcon), and opened for traffic on 4 July 1903. Conductor and armouring specifications are from Gutta Percha Company core manufacturing records and Telcon armouring journal at NMM. 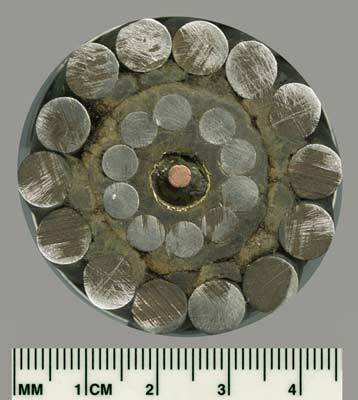 Conductor is four copper tapes around one copper wire: 1 x .088" and 4 x .077" x .0125". Shore end section has double armouring, 14 No. 1 outer and 10 No. 6 inner. 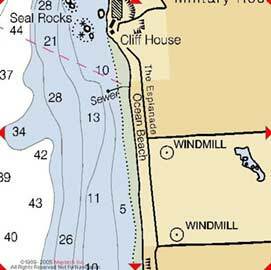 Sample of shore end conforms with these specifications. Telcon records list 16 No. 14 for deep sea. Conductor is six copper tapes around one copper wire: 1 x .154" and 6 x .085" x .015". Shore end section has double armouring, 14 No. 1 outer and 12 No. 6 inner. Deep sea section has 18 No. 14 armouring wires. Samples conform with these specifications. Conductor is five copper tapes around one copper wire: 1 x .095" and 5 x .065" x .0125". Shore end section has double armouring, 14 No. 1 outer and 12 No. 6 inner. Telcon records list 16 No. 14 for deep sea. No samples available. 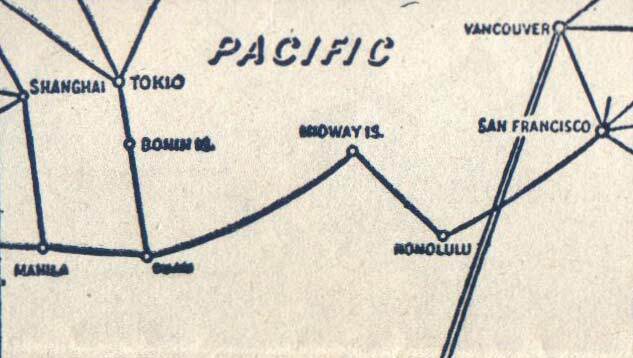 The full length of the cable from San Francisco to Manila was completed in mid-1903, and the final connection was made at Honolulu on July 4th. 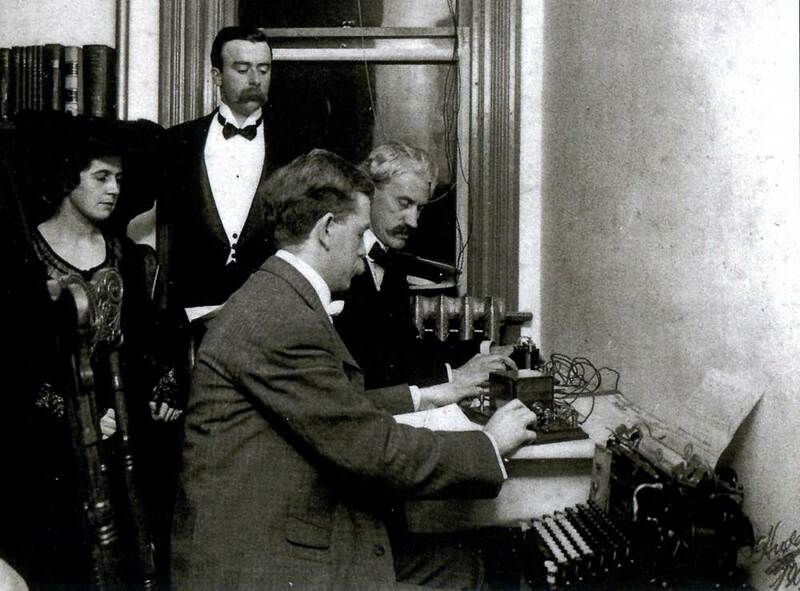 That same day, President Theodore Roosevelt commemorated the opening of service by using the Commercial Pacific Cable and its connecting links to send a telegraph message around the world from Oyster Bay, Long Island and back again. Despite the caption (which does not appear to be original to the photograph), the message was not sent from President Roosevelt's home at Sagamore Hill, Oyster Bay, Long Island. A curator at the Sagamore Hill National Historic Site notes that the room shown is not any of those in the Roosevelt Home - the message was actually sent from a building in Oyster Bay used by White House staff. 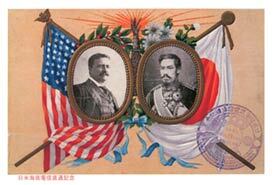 I open the American-Pacific cable with greetings to you and the people of the Philippines. "Congratulations and success to the Pacific cable, which the genius of your lamented father and your own enterprise made possible. Theodore Roosevelt." 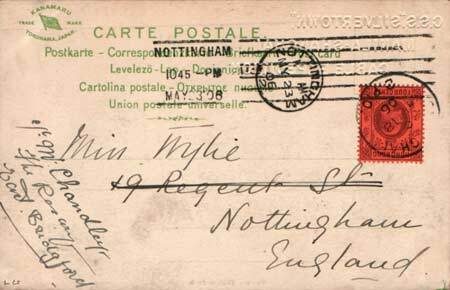 Mr. Mackay's reply, going around the world eastward, was despatched at 11:55 p.m., and was received by President Roosevelt at 12:04:30 a.m., the time consumed being 9½ minutes. 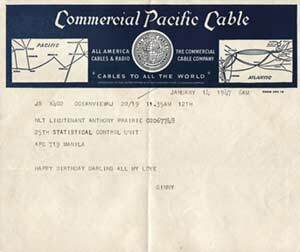 The long-projected enterprise of the American Pacific cable was completed on July 4, 1903, when, as previously noted in these columns, President Roosevelt sent a congratulatory message from Oyster Bay, Long Island, to Governor William H. Taft in Manila. On that day the connecting link at Honolulu was made between two sections of the cable. The section from San Francisco to Honolulu was completed on December 26 last. Since that time the cable steamers of the Commercial Pacific Cable Company have been laying the sections from Manila to Guam, from Guam to Midway Islands, and from Midway Islands to Honolulu. 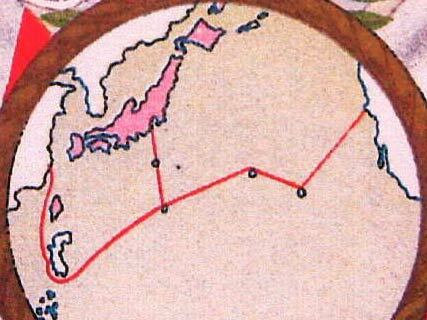 It was this last stretch of cable, which was connected at Honolulu on July 4, that completed the through line. A few minutes after the President's message was sent another message was started, this one to go around the globe. It was from the President and was addressed to Mr. Clarence Mackay, president of the cable company, at Oyster Bay. The message started westward from Oyster Bay to San Francisco; thence over the new cable to Manila, then to Honolulu, Saigon, Singapore, and Penang; thence to Madras and Bombay in India, still continuing westward to Aden, Suez, Malta, Gibraltar, and Lisbon. 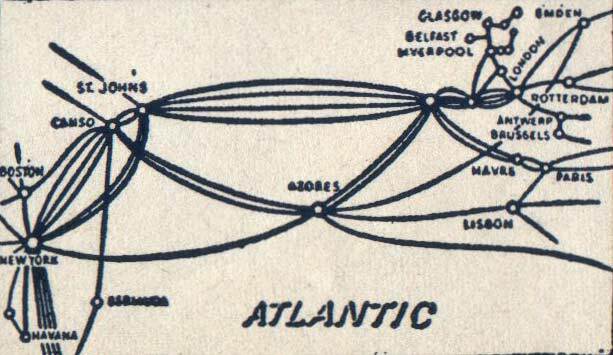 From this last point it was, sent by the transatlantic cable touching at the Azores, Canso, and to New York. The total length of this route was 25,800 miles. The message came ticking back on the receiver at Oyster Bay just 9½ minutes after it had been started. 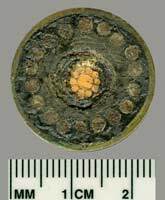 A collection of the parts of the various electrical circuits of historic interest was borrowed from William J. 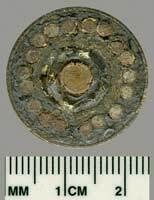 Hammer, and the pieces welded into one and placed in the circuit over which the above messages to go around the world were sent. 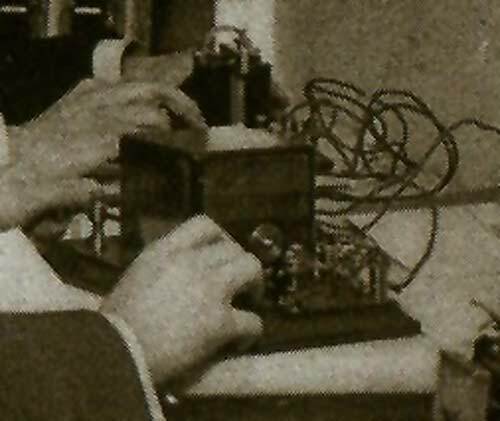 The collection includes a section of wire over which Professor Morse sent the first message by means of the Morse telegraph; a section of wire over which audible speech was for the first time transmitted by means of the Bell telephone by Professor Bell; a section of the Atlantic cable, through which the first cable message was sent across the ocean by Cyrus W. Field; a section of the wire through which was lighted the first incandescent lamp ever lighted from an electric-lighting central station; and a section of the cable through which the first current of electricity was transmitted from the Niagara Falls electric power plant. 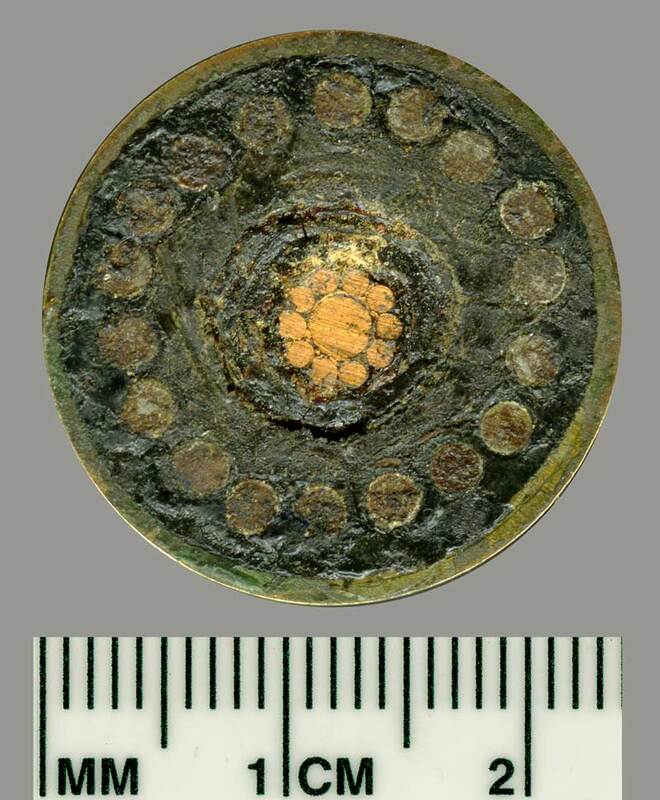 To commemorate this event, sections of the Telcon shore-end cable were mounted as souvenirs, of which two different types are known. 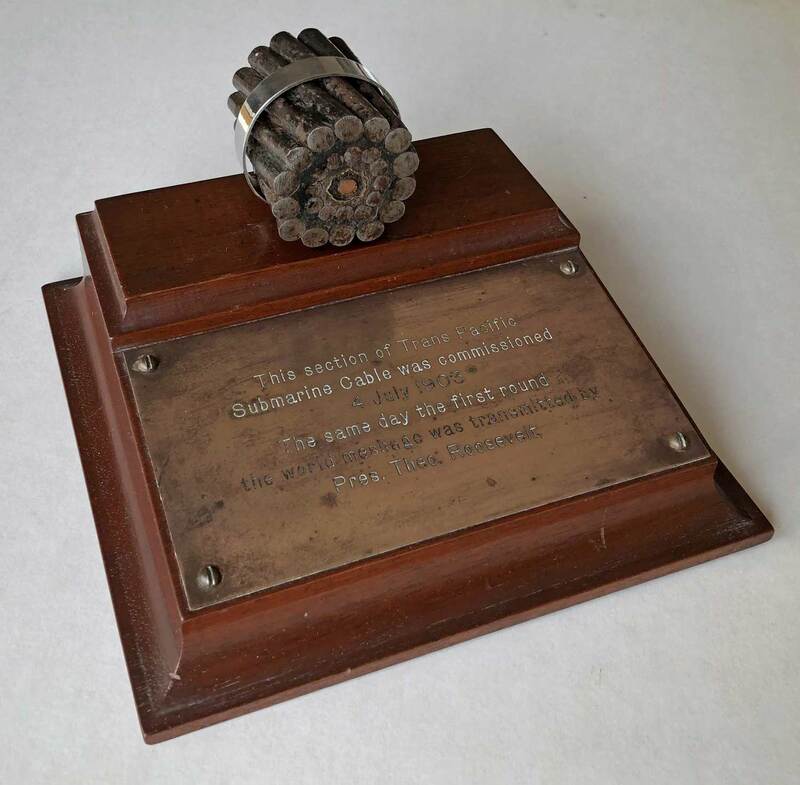 The one shown below, with the cable set on a mahogany base with a brass label, was in the family of site visitor Kathleen Lester for many years. She recently retrieved it from her father's workbench and dusted it off, and it is now in the Atlantic Cable website collection for the reference of researchers. 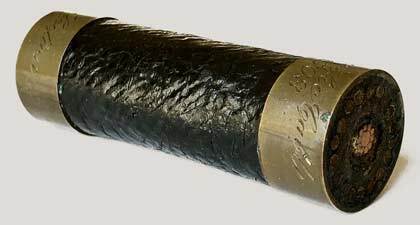 Before the Pacific cable was laid in 1902 the only way to send a telegram from the west coast of America to China or Japan was across America, then to England, and then either via the Great Northern route through Russia or via the Eastern and Eastern Extension network to India and beyond. 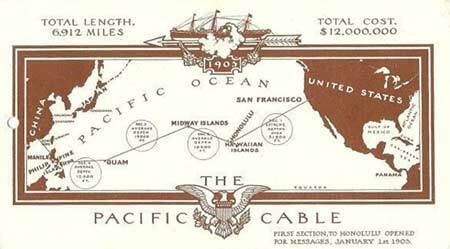 In 1901, to overcome this problem, three of the existing cable companies formed the Commercial Pacific Cable Company. Those involved and their share were the Commercial Cable Company (25%); the Great Northern Telegraph Company (25%) and the Eastern Telegraph Company (50%). Though the Eastern was the majority shareholder the company was registered in the USA. 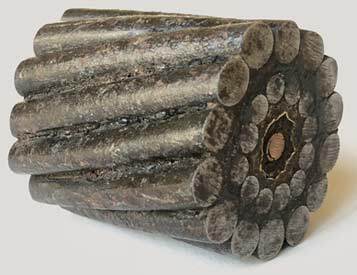 The India Rubber, Gutta Percha and Telegraph Works Company was contracted to manufacture and lay a cable from San Francisco to Honolulu. 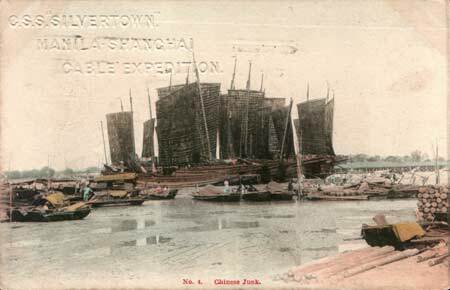 CS Silvertown laid the 2277 nm cable in 1902. In 1903 Telcon manufactured and laid three cables, Honolulu - Midway Island 1336 nm; Midway Island - Guam 2656 nm; and Guam - Manila, Philippines, 1642 nm. CS Anglia and CS Colonia carried out the work. 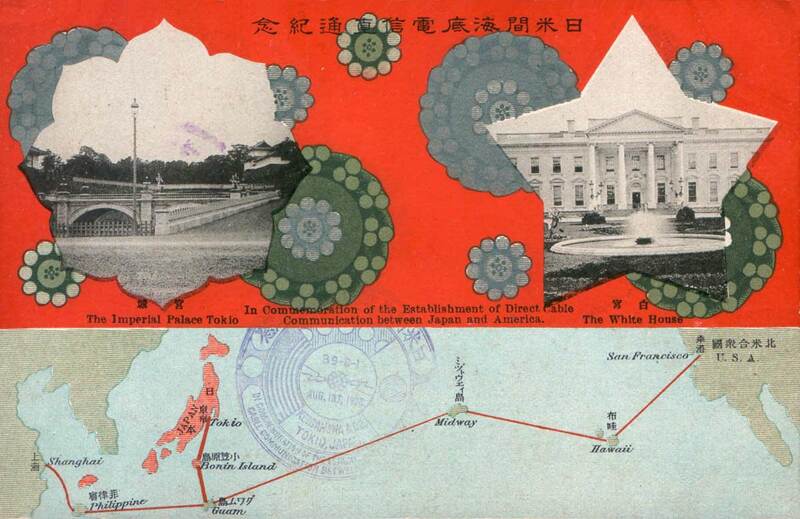 In 1905 the German-Netherland Telegraph Company laid a cable from Menado, Celebes, Dutch East Indies, to Yap and then Guam, and from Guam to Shanghai, with CS Store Nordiske (1) carrying out the laying in the Yangtse river. After the end of the first world war these cables were divided between the three cable companies. of the link from Guam to Bonin Island (Japan). In 1906 Siemens Bros manufactured and laid a 909 nm cable between Guam and Bonin Island in the Japanese archipelago, chartering CS Silvertown to carry out the work. CS Urmston Grange was also used. In the same year the India Rubber, Gutta Percha and Telegraph Works Company manufactured and laid a cable between Manila and Shanghai using CS Silvertown and CS Store Nordiske (1). The latter vessel carried out the shallow water cable laying. The network remained in use until 1941 when the service beyond Midway Island was abandoned due to the advance of Japanese forces. Following the end of the second world war only the Midway Island - Guam - Manila cables were repaired, and in the period up to 1950 the company spent $1.5 million on repairs. CS Restorer, now 50 years old, was in need of an extensive refit or replacement, the latter costing a further $1.5 million. 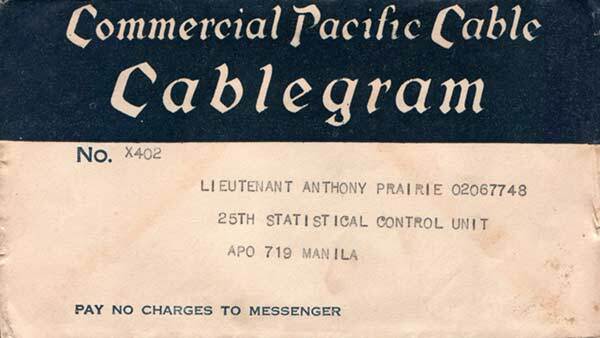 In 1950 less than 1000 messages passed between the USA and Midway Island and only 11% of traffic between the USA and Manila passed along the cables. Without the links to China and Japan the network was no longer viable and the company applied to the American Federal Communications Commission to cease operations. The FCC approved and the service was closed down in October 1951. The cables were sold to Cable & Wireless who recovered a considerable amount using CS Recorder (3). A large part of the recovered cable was used elsewhere. Built originally for Samuel Cunard for the Atlantic service. Held the Blue Riband for five years. Purchased in 1879 by the Telegraph Construction and Maintenance Company and converted for cable laying. Sold in 1903 to the Commercial Pacific Cable Co. Broke her back on a reef at Catalan Island, Guam in 1904. Built for the Eastern Extension, Australasia and China Telegraph Company CS Restorer was sister ship to CS Patrol, the two being launched within a few days of each other. The ships left England loaded with cable, part stock for Singapore, and the remaining 650 nm to be laid for the Dutch East Indies Government between Balikpapen and Kwandang. CS Restorer was supposed to have remained at Adelaide as repair ship for the area but was sold to the Commercial Pacific Cable Company to replace CS Scotia. Built in 1923 by Sun S.B. and D.D. Co., Chester, Pa. Length 174.3 ft. Breadth 30.1 ft. Depth 21. 8 ft. Gross tonnage 831. Dickenson carried out a dual role, being both a cable repair ship and supply vessel for the stations on the various islands including Fanning Island. For cable storage one tank 20 ft diameter by 8 ft high was installed along with a modified cargo winch fitted with a large drum which served as cable gear and two 18 inch diameter bow sheaves were fitted. Accommodation for twelve passengers was provided as were two cargo holds to store supplies. Chartered by Cable and Wireless in 1941 to evacuate the families of the cable station and plantation staff from Fanning Island because of the situation in the Far East, Dickenson arrived off Honolulu just as the Japanese attack on Pearl Harbor began. As Dickenson approached Honolulu people on board reported seeing what appeared to be a whale following the ship, it was in fact a Japanese submarine using Dickenson to screen its approach to Pearl Harbor. It was spotted by a US destroyer and sunk. 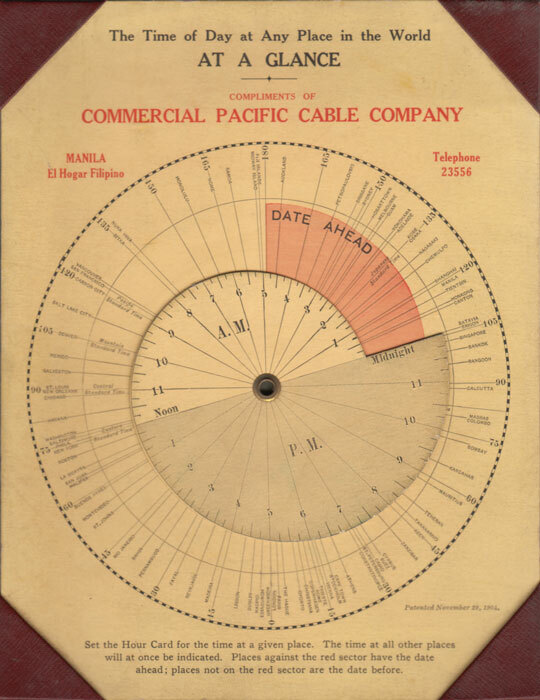 Commercial Pacific Cable Company in 1904. 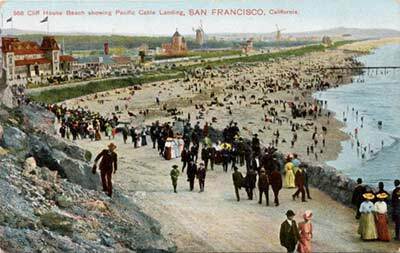 Credits: The first two Ocean Beach images and the Cliff House postcard images were supplied by Gary Stark, who manages the Cliff House Project website, a comprehensive and well-illustrated history of this famous California landmark, which was built in 1896 and destroyed by fire in 1907. Thanks also to Gary for the story from the San Francisco Call. See the Cliff House Project 1902 Pacific Cable page for further information and contemporary newspaper acounts of the cable. Haigh, K.R. : Cableships and Submarine Cables, London, 1968, Adlard Coles. For a detailed history of CS Restorer, and much additional information on the Commercial Pacific Cable Company, see Dirk van Oudenol's pages . The Midway Atoll National Wildlife Refuge site has a page on the cable operations on the island. “The Laying of the American Trans-Pacific Cable,” published in the January 1903 issue of The Journal of Electricity, Power and Gas. “Wrecked San Francisco,” the restoration of communications over the cable between Honolulu and the US mainland after the 1906 San Francisco earthquake.